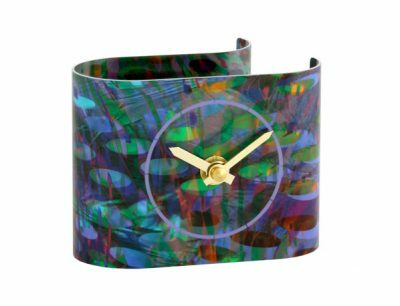 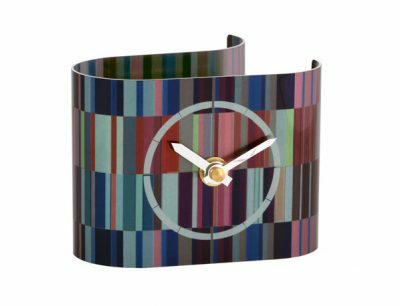 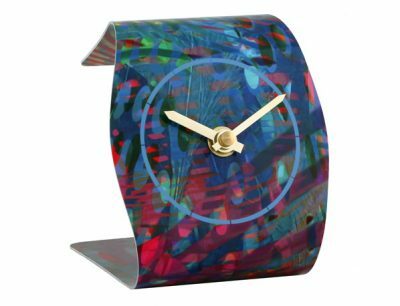 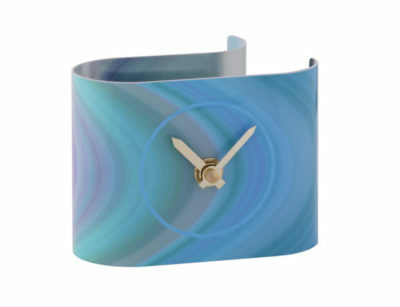 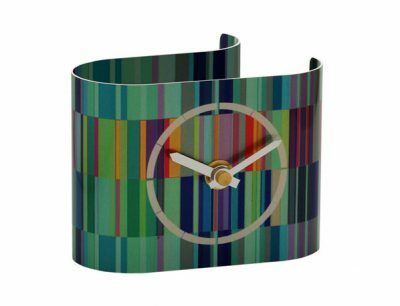 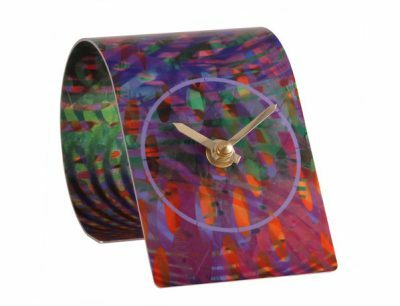 Blocks of multicoloured bands in pale, mid and deep purples and aqua blues interact across every surface of this hand-made wall clock, resulting in a bold geometric pattern. 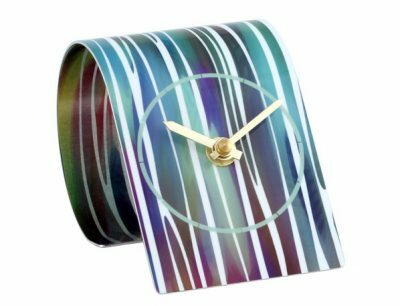 The curved sides on this clock ensure it fits flush to the wall and the design can be viewed from all sides. 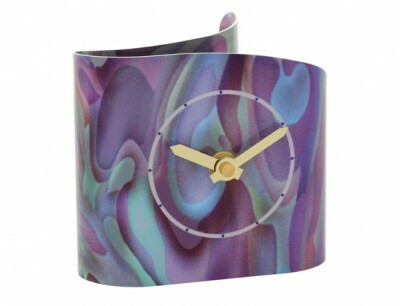 Curved aluminium wall clock with silver coloured hands and a silent high quality German mechanism with hanging hook. 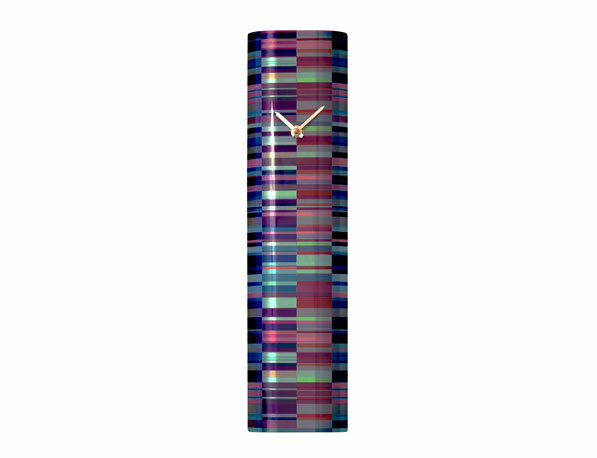 The reverse has an overall abstract pattern.